Dancing Leaf Design 2014 Christmas season opener "Christmas at Hycroft" starts next week! 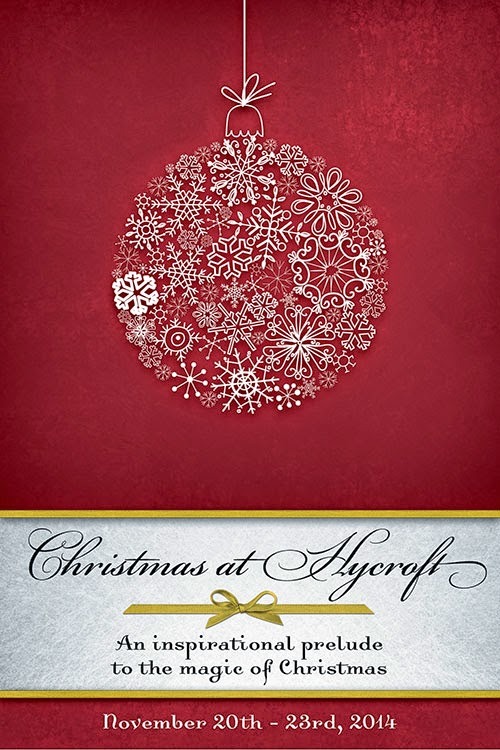 There's so much to see and do at Christmas at Hycroft as you wander through the beautiful Edwardian mansion. November 20th-23rd. Daily 11am-9pm Sunday 11am-6pm.